Comfortable flip-seat can be utilized for standing or sitting. 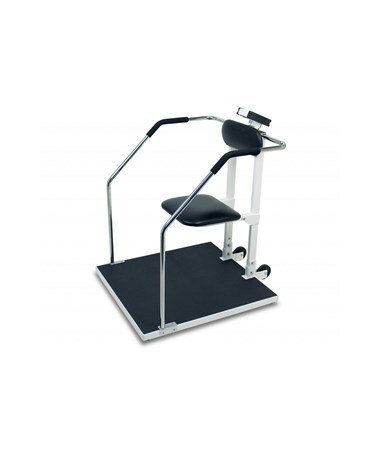 The 6868 Detecto Bariatric Flip-Seat Handrail Scale is a American made unique and innovative scale that combines the standing and sitting options for being weighed. This model is equipped with a flip seat that can be used for patients that have difficulties standing. 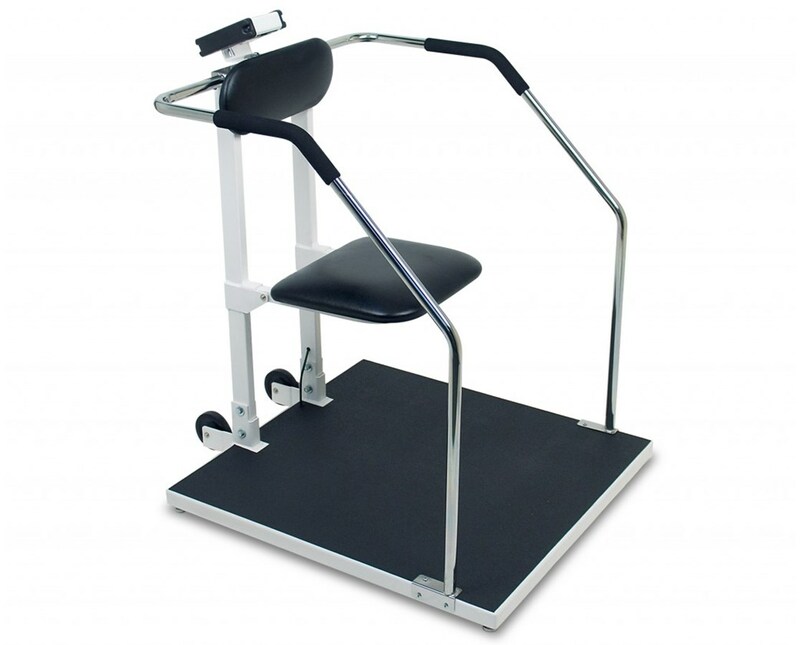 When not needed, the seat can flip up and the scale can be used as a handrail scale. The weight capacity has a range up to 800 lb/ 360 kg. making this scale available to all varieties of patients. This scale is equipped with the new Detecto 750 LCD Display. It is the classic weighing display for many varieties of scales. It features an easy to use keypad, and large clear numbers for enhanced viewing. This scale is EMR compatible and can calculate BMI with the click of a button. Other functions included with this scale are lb/kg conversion, on/zero off, and weight/lock release. 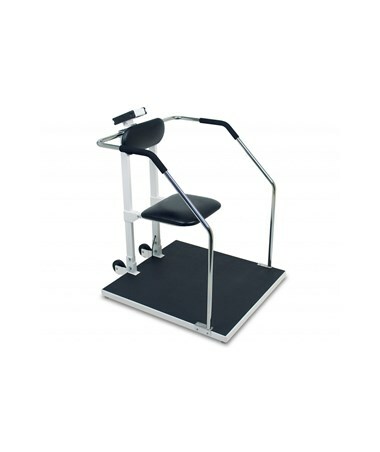 Padded handgrips and a large non-slip platform will enhance your patients comfort and stability. Built-in wheels allow for easy mobility. The 6868 is powered with an optional A/C adapter or 6 AA batteries (not included). A 1 year warranty assures you that any difficulties you have with this scale will be quickly and efficiently resolved. **You may also view additional accessories for this scale by selecting the Related Products tab.